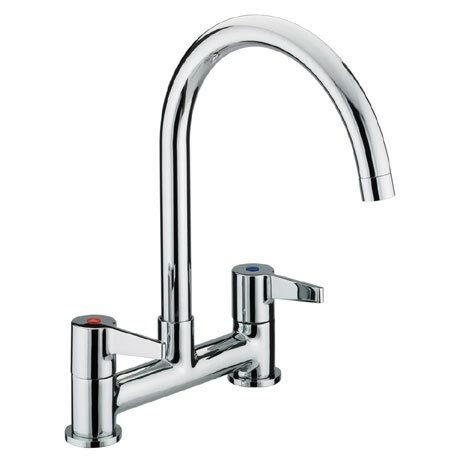 The Design Utility Lever Deck Kitchen Sink Mixer features a modern lever design that offers great value for money. The practical design makes this tap ideal for any utility space. Constructed from brass and suitable for all plumbing systems. Used to replace two individual taps in a utility room sink. Seems to work really well so far - so much better than what was there before. Good quality. Great tap mixer. Will use it for the future again. Great price too.